Dark circles are the biggest eye skin problem. An Olay study of almost 2k women showed that 89% had measurable dark circles, regardless of age. Generally speaking, undereye skin is the first area of your face to show signs of stress, aging and fatigue. So, If you have bags under your eyes, this post is an absolute must – continue reading to see how you can combat undereye circles without breaking the bank. There are many reasons why people get dark circles, and as we age, it can be difficult to avoid them because our skin loses collagen therefore veins are much more visible. Genetics could also play a part as well, along with seasonal allergies and unhealthy behavior (think binge drinking, all nighters, etc.). I’ve never had extreme issues with undereye circles, but I’ve definitely had days where I looked reallllly rough because I was missing zzzz’s. My sleep schedule’s all kinds of messed up, but hopefully I can sort all that out soon. So, what do you have to do to get the best skin of your life? Unfortunately, genetics are genetics so you can’t do much about that, but you CAN be strict about preventative care, which means eating right, exercising regularly to increase circulation, getting enough sleep each night (on your back if possible), using sunscreen religiously and of course, incorporating solid eye cream into your daily skincare regimen. 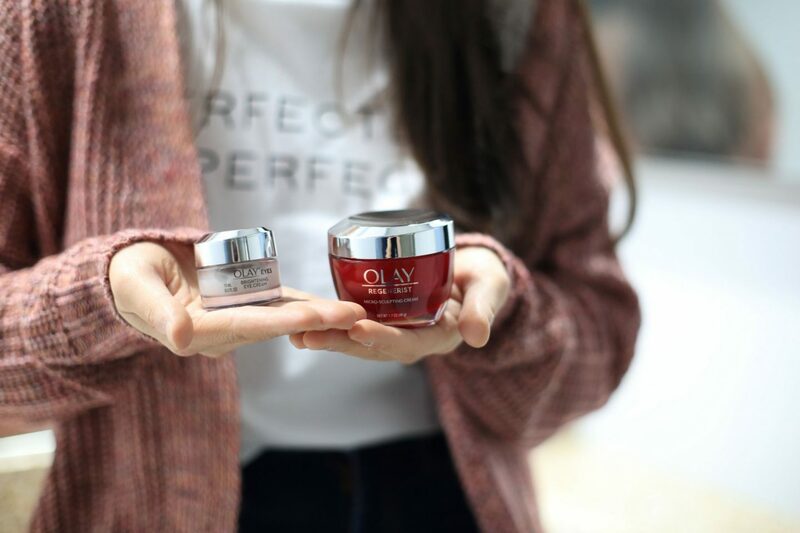 I can’t even begin to tell you guys how much I love the new Olay Eyes Brightening Eye Cream with Vitamin C. I know that’s a mouthful, but I want to make sure you know exactly which product you’re looking for. It’s honestly the best eye cream I’ve ever used. 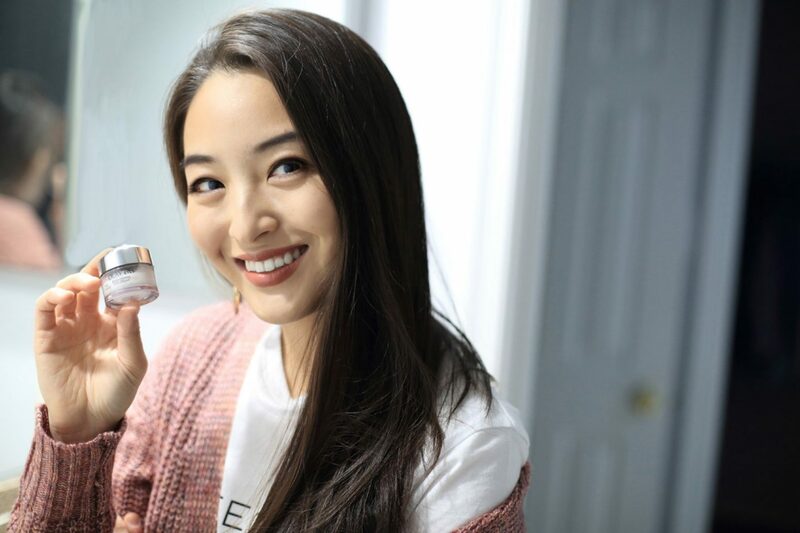 It’s super lightweight, and it contains Vitamin C, Niacinamide Vitamin B3, Pro-Vitamin B5, Vitamin E anti-oxidant complex and optic brighteners to hydrate and illuminate, visibly reducing dark circles for the refreshed look everyone (not every woman, everyone) strives for. It feels really luxe during application yet absorbs quickly. You’d think a rich product like this would leave a sticky residue but nope. You get all the hydration minus the not-so-pleasant greasiness. Hit up your local CVS to try it for yourself…and then come thank me afterwards. 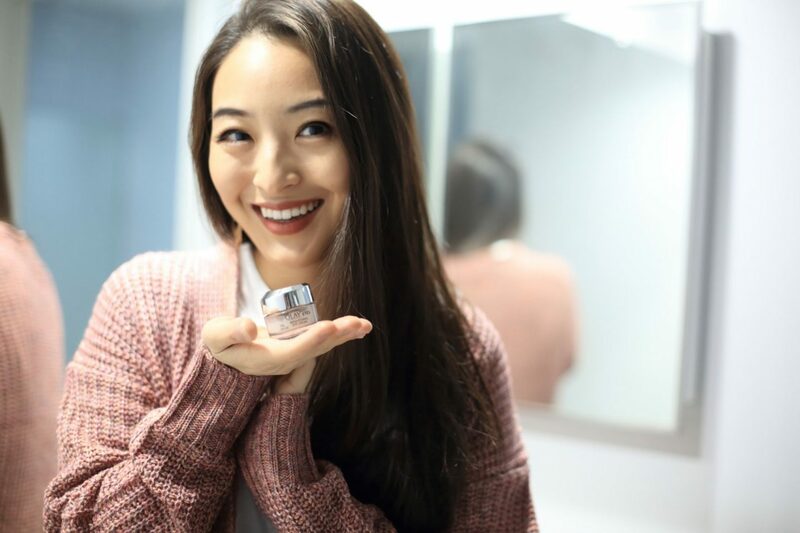 When applying product onto your eyes, use your 4th finger gently and dab the cream into your skin. This is crucial because the skin there is substantially thinner (aka weaker), and the last thing you want to do is CREATE wrinkles when you’re trying to prevent them. Also, remember to dab the cream – rubbing could tear the skin so practice extra care during application. Anywho, that’s a wrap for today guys! I hope you enjoyed reading all about my current beauty obsession. Definitely let me know what you think of the cream after you try it by leaving a comment below. 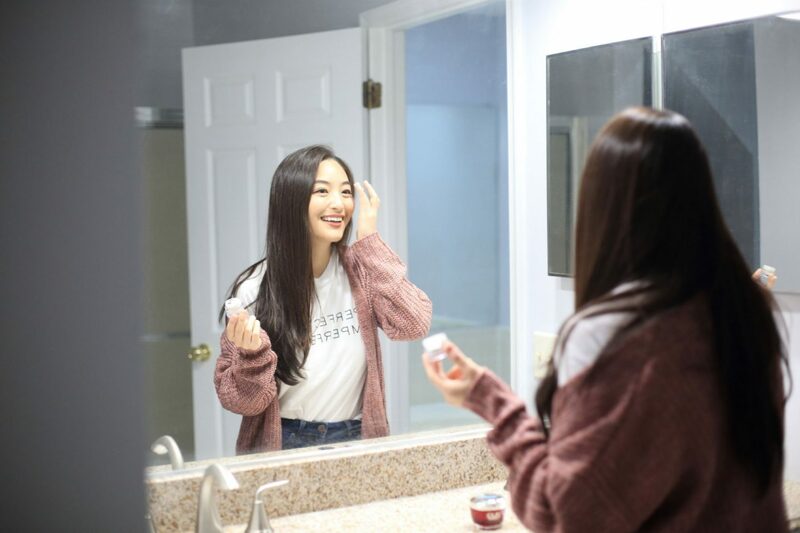 For more on skincare, make sure you check out my beauty tab. 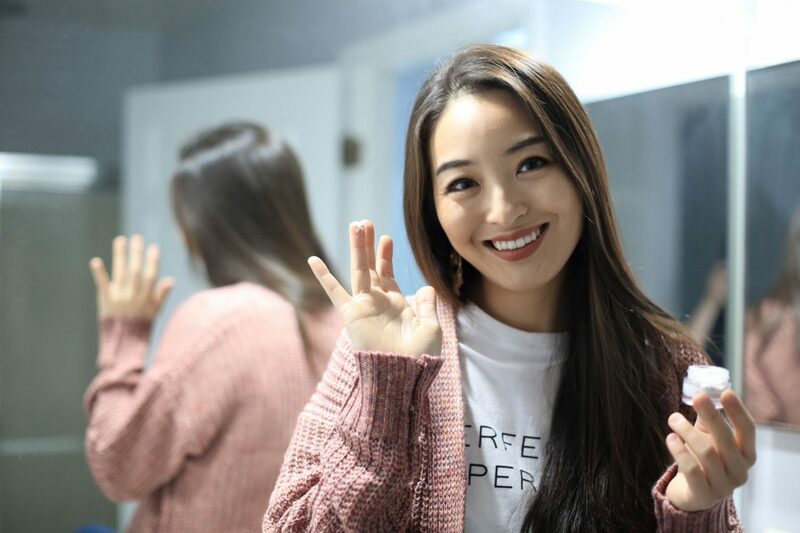 A huge thanks to Sung Shin for the wonderful photography and to Olay for sponsoring this post.